10th Zilhajjah : Eid-ul-Adha Being Observed Solemnly to Express Solidarity With the Oppressed Nations of the World! 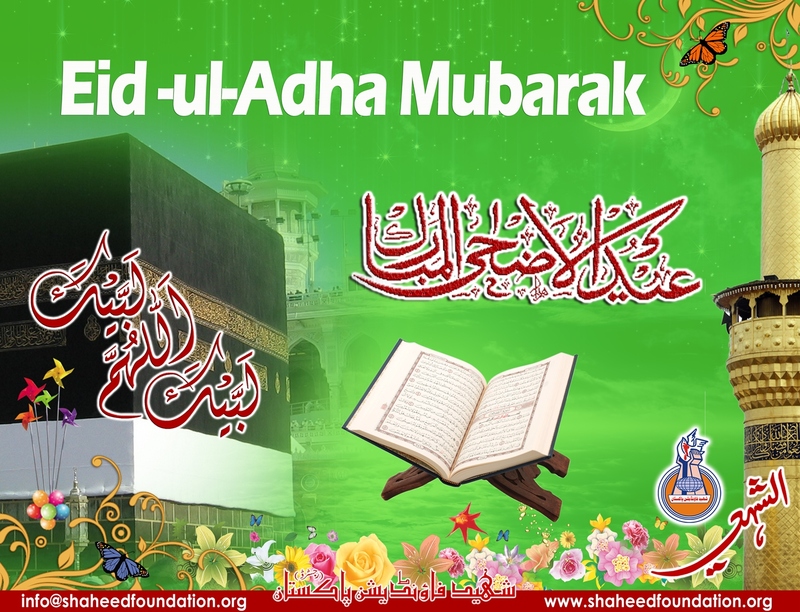 Shaheed Foundation Pakistan extends our heartiest greetings and felicitations on the blessed occassion of Eid-ul-Adha to the Household of Prophet[PBUH],Maraj-e-Ezam,Ulema-e-Karam,Khanwada-e-Shohada and entire muslim fraternity on the blessed occassion of Eid-ul-Adha. This event is the commemoration of Sunnat-e-Ibrahimi AS who obeyed Allah's command unconditionally to sacrifice his beloved Son Prophet Ismail[AS].Allah SWT accepted the sacrifice of Prophet Ibrahim[AS] and saved his son. Sidq-e-Khaleel bhi hai ishq,Sabr-e-Hussain bhi Hai Ishq! Maa'rka-e-Wajud mein ,badr o hunain bhi hai Ishq! This year's eid congregations,momineen participated solemnly to express solidarity with the oppressed nations of the world by wearing black arm-bands in Eid Prayers. Please remember all the martyrs and the oppressed of the world in your prayers and share your festivities with fellow faithful as in the teachings of Ahlulbayt[AS]. On Tuesday, more than two million pilgrims performed the symbolic stoning of the devil in Mina near the holy city of Mecca. They threw stones at three pillars, called the Jamarat, which represent the devil, showing their rejection of sin and temptation. The ritual coincides with Eid al-Adha, which is one of the most significant festivals on the Muslim calendar. While many Muslims celebrate the auspicious occasion on Tuesday, millions of others, including in South Asia, will celebrate the religious holiday on Wednesday. Muslims traditionally mark Eid al-Adha with the sacrifice of sheep and cattle. The act commemorates Prophet Abraham's (PBUH) submission to divine order to sacrifice his son, Ismail (PBUH). Just before sacrificing his son, God provided Prophet Abraham with a ram to sacrifice instead after he successfully passed the divine test. The major rituals of the Hajj are performed during a five-day period from the 8th through the 12th of Dhu al-Hijjah on the Muslim lunar calendar. On Monday, worshipers performed day-long prayers and recitals of the Holy Qur’an on a rocky hill known as Mount Arafat, east of Mecca, where Prophet Muhammad (PBUH) delivered his last Hajj sermon. The Hajj pilgrimage is a religious ritual, which must be performed at least once by every able-bodied Muslim who can afford it. 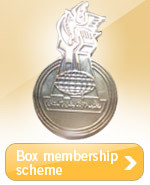 It is one of the largest acts of mass pilgrimage in the world. The holy pilgrimage is also a demonstration of Muslims’ unity and their submission to Allah.